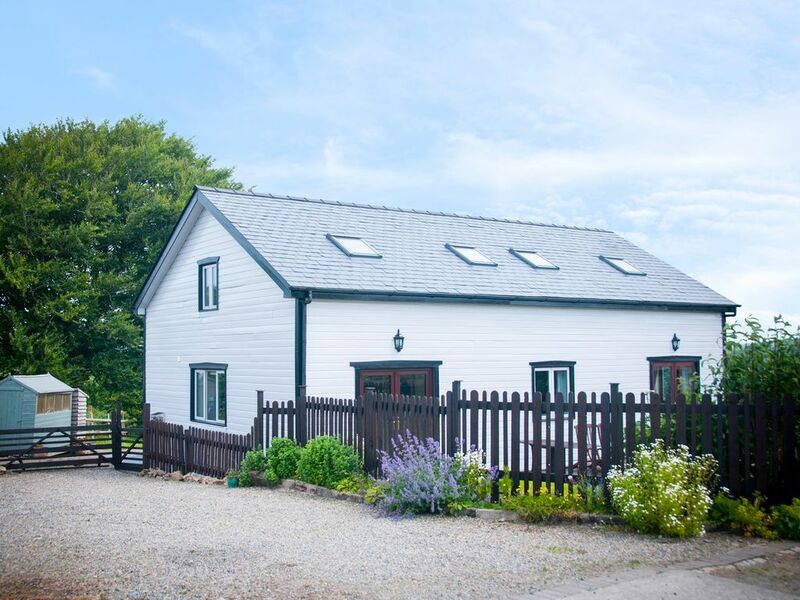 A detached cottage based near Haverfordwest in Pembrokeshire, Wales that can sleep eight people in four bedrooms. Secret Water is a traditional cottage 2.5 miles from Haverfordwest in Pembrokeshire, Wales. It has two king-size double rooms and two twin rooms as well as a bathroom and shower room, this cottage can sleep eight people. It also comes with a kitchen diner and a sitting room with a woodburning stove. Outside is off road parking for three cars, a lawn to the front and a gravel and lawn to the rear with furniture. Secret Water is a delightful cottage in a great location, with lots of things to see and do for families. Amenities: Oil central heating with woodburning stove. Electric oven and electric hob, microwave, fridge/freezer, washing machine, dishwasher, TV with Freeview, DVD, WiFi, selection of books, games and DVDs. Shared use of games room. Fuel, power and starter pack for stove inc. in rent. Bed linen and towels inc. in rent. Cot, highchair and stairgate. Ample off road parking. Enclosed lawned and gravelled area to rear with furniture and lawned area to front. One well-behave pet welcome. Sorry, no smoking. Shop and pub 2 miles. Town: Haverfordwest is the county town of Pembrokeshire with gift shops, pubs, restaurants, tea rooms and a good night life. Haverfordwest sits at the mouth of the River Cleddau and with its castle, museum and large leisure complex it is a great day out for all the family. The whole of Pembrokeshire beckons from this holiday base to explore castles, relax on beaches, take walks along parts of the complete coastal footpath, and enjoy Folly Farm, the nearby trampoline park, the Dinosaur Experience and the thrills and spills of Oakwood Theme Park and Bluestone Water Park. There is so much to see and do in this wonderful part of Wales you'll want to revisit again and again. Four bedrooms: 2 x king-size double, 1 x twin, 1 x ground floor twin. Ground floor shower room with shower, basin and WC. Bathroom with bath, shower over, basin and WC. Kitchen with dining area. Sitting room with woodburning stove. Oil central heating with woodburning stove. Electric oven and electric hob, microwave, fridge/freezer, washing machine, dishwasher, TV with Freeview, DVD, WiFi, selection of books, games and DVDs. Shared use of games room. Fuel, power and starter pack for stove inc. in rent. Bed linen and towels inc. in rent. Cot, highchair and stairgate. Ample off road parking. Enclosed lawned and gravelled area to rear with furniture and lawned area to front. One well-behave pet welcome. Sorry, no smoking. Shop and pub 2 miles.